Violence against the Rohingya people, a Muslim minority in Myanmar, has thrust the country back into the international spotlight. Anthropologist Georg Winterberger spent time in Myanmar researching the lives of the majority Buddhist population there. For fifty years, Myanmar was cut off from the rest of the world under a military dictatorship. In 2011, when a civilian government came into power, the country began to open up and go through a period of very rapid change. Anthropologist Georg Winterberger spent a year in Myanmar carrying out a fieldwork project in 2015/16. He wanted to find out what strategies the population were using to protect their existence in times of upheaval. 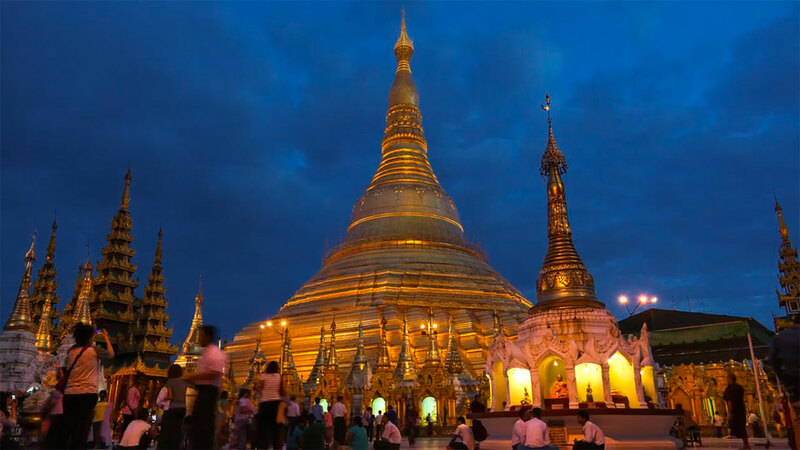 Mawlamyine, a regional capital in the south of the country, was the starting point for Winterberger’s field trip. People in the city and its surroundings live from the flourishing trade with neighboring Thailand, caoutchouc production, fishing, small-scale industries, and increasing tourism. By talking to local inhabitants, Winterberger wanted to find out how they themselves perceived and experienced their daily lives and their circumstances. It was important to go about this carefully, explains Winterberger: The key to social and cultural anthropology lies in asking the right questions. Leading questions, for example, should be avoided. Winterberger used quite a particular method for this – he gave cameras to the people whose lives he was interested in and had them photograph scenes from their daily lives. He then used the photos as discussion points in his interviews. By getting people to talk about the stories behind the pictures, questions came up that he wouldn’t otherwise have thought of. The photographs, which were taken between January and June 2016, so impressed Winterberger that he decided to publish them in book form separately from his research project. The book, called Myanmar – Through the lens of people, contains rich large-scale images of the everyday lives of people in Myanmar. There are photographs of newspaper sellers in thronging city streets, outdoor hair salons, farmers threshing their fields, builders mixing cement, fishermen on the high seas, taxi drivers waiting for customers, colorful market scenes, people making pilgrimages, water carriers, young monks, and many more. Reinhold Briegel from the University’s Multimedia & E-Learning Services (MELS) office accompanied the photo project with a video camera. A DVD containing the video documentation is included with the book. Georg Winterberger is Director of Social and Cultural Anthropology within the Department of Social Anthropology and Cultural Studies at UZH. He is also co-president of the Association of the Non-Professorial Academic Staff of the University of Zurich (VAUZ).